Since the 1950s, Revell has been producing true-to-scale and highly detailed plastic model kits. 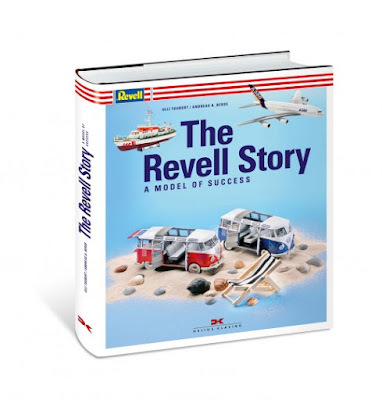 Whether cars, airplanes, ships or even space stations - there is hardly a technical milestone that Revell has not implemented as a model with a loving eye for detail. Ulli Taubert and Andreas A. Berse tell the exciting story of a brand that is inextricably linked to German children's rooms, and numerous contemporary witnesses speak out. Above all Ulli Taubert, who shaped Revell's program and product development for decades. An exclusive look behind the scenes of the model business with previously unpublished photos and documents. Published by the renowned publisher Delius Klasing and bound in high-quality hardcover.